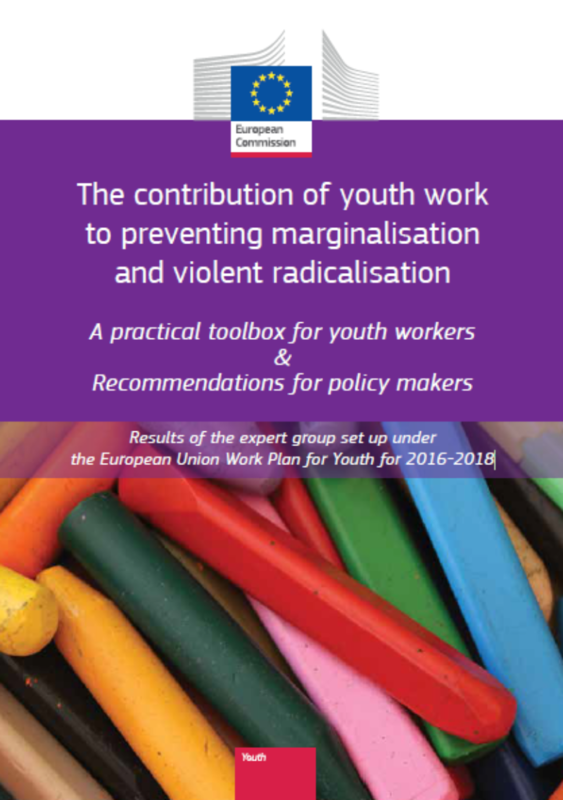 The findings of the expert group of policy makers, researchers and practitioners detail the role of youth work on promoting active citizenship, preventing marginalisation and violent radicalisation. The expert group follows in its work the model of three levels of prevention at a generic, targeted and indicated level. In each level youth work and non-formal and informal learning have a role to play and need to be supported in different ways. The expert group provides concrete proposals in each level in accordance with the different challenges each level poses. The main outcomes of the expert group are: a practical toolbox for youth workers, both volunteers and employed, and organisations which train them with guidance on how to encourage active citizenship and prevent young people from marginalisation and radicalisation leading to violent extremism and deal with propaganda; together with policy recommendations addressed to public authorities from the local to the European level calling for a holistic approach in preventing radicalisation leading to violent extremism.